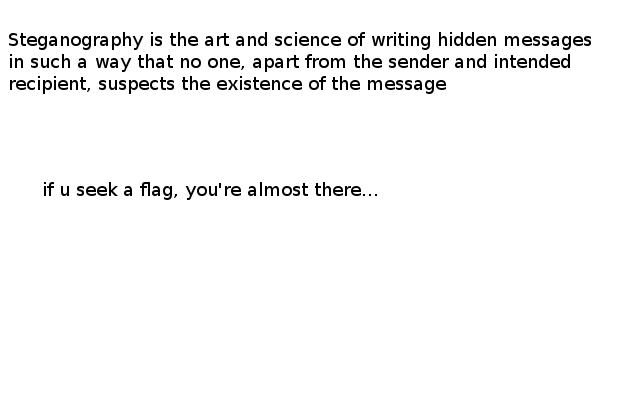 smpCTF challenge #5 was forensics: we were given the file forensic1-image and instructed to find a flag. drwxr-xr-x 3 root root     4096 Jun 30 03:50 .
drwxrwxrwx 1 root root        0 Jul 10 02:30 ..
drwx------ 2 root root 16384 Jun 30 03:42 .
drwxr-xr-x 3 root root  4096 Jun 30 03:50 ..
UCL data compression library (v1.03, Jul 20 2004). Many files, how to find the interesting one? First, let's try with a simple recursive grep on the word flag. 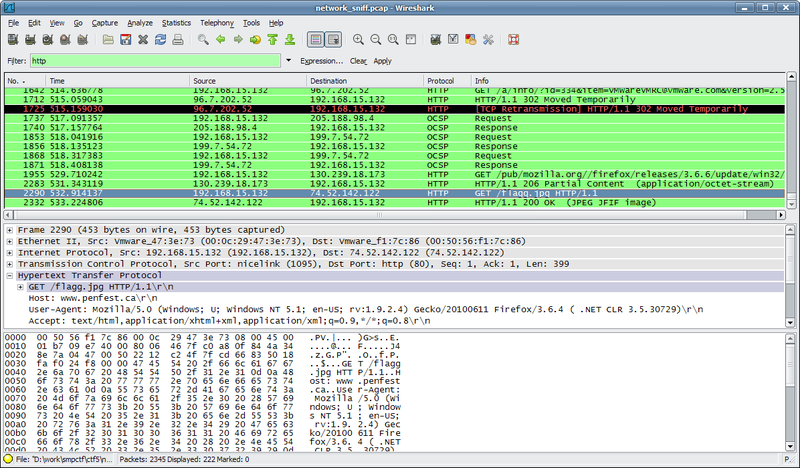 Select the HTTP response, choose the HTTP payload, recognized by Wireshark as JPEG and use right click/export selected packet bytes to save the file. This is your Flag: Seeing is not always believing! Comment      : This is your Flag: Seeing is not always believing! flagg.jpg: JPEG image data, JFIF standard 1.01, comment: "This is your Flag: Seeing is no"
I didn't notice the flag of UCL.